U.S. v. Sterling. The Becket Fund for Religious Liberty (n.d.). Retrieved from https://www.becketlaw.org/case/u-s-v-sterling/. U.S. v. Sterling. (Apr. 04, 2019). https://www.becketlaw.org/case/u-s-v-sterling/. "U.S. v. Sterling." The Becket Fund for Religious Liberty. Accessed [Apr. 04, 2019]. https://www.becketlaw.org/case/u-s-v-sterling/. Our nation’s military was practicing religious liberty even before our country recognized it’s inherently beneficial traits: solving religious conflicts and advancing the human right to freely seek God. If there is one lesson our military history has taught us it’s that religious diversity works. A recent military court ruling threatens that heritage. A member of the Marine Corps, Monifa Sterling, was forced to take down a Bible verse from her desk despite other soldiers’ permission to decorate their workspaces. 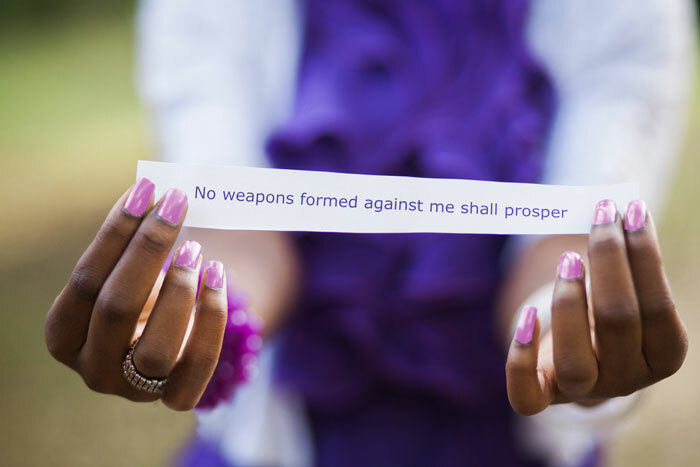 The court ruled that the verse, “No weapon formed against me shall prosper,” was not “religious” enough to be protected under the Religious Freedom Restoration Act. The ruling also noted that religion was “divisive” and “contentious” and government is allowed to censor it to avoid the risk that other Marines might be “exposed” to it. But scripture is religious, and religion is not some sort of toxic cousin of profanity that deserves suppression instead of protection. The court’s ruling is very dangerous, particularly for minority religious groups with lesser-known faiths, who will more likely be targeted for “preemptive” censorship. The ruling also forgets the lesson of history: respectful religious pluralism enhances both individual rights and the military mission. To correct these errors, a diverse coalition of experts on military religious liberty joined the Becket’s amicus brief explaining why the lower court’s ruling must be overturned. The experts include military veterans, chaplains, and senior-level military commanders who have extensive personal and professional experience supporting soldiers’ free exercise of faith. They come from a variety of religions: Jewish, Catholic, Sikh, Southern Baptist, Muslim, Presbyterian, Mormon, Lutheran, Anglican, and Assemblies of God. Bancroft PLLC (Paul Clement), Liberty Institute, and Major John Stephens represented Ms. Sterling. On August 10, 2016, the military’s highest court ruled against Monifa Sterling.